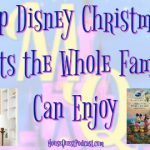 The most wonderful time of the year is upon us and Disney is ramping up the merriment with their line-up of events to celebrate the holidays at the Disney Parks. From parties and shows to special cuisine offerings, the parks and resorts are the place to be to get in the holiday spirit. Mickey’s Very Merry Christmas Party is a holiday tradition at Walt Disney World. This specially ticketed even is worth every penny. Nothing can beat the ambiance of snow falling overhead on Main Street, U.S.A. as you munch on free snickerdoodles and sip hot chocolate. In addition to free Hot Chocolate and Snickerdoodle cookies at Tortuga Tavern in Adventureland, there will be Eggnog and Gingersnap Molasses Cookie at Heritage House in Liberty Square, Snow Cone and Snowman Sugar Cookie at Friar’s Nook in Fantasyland, Spiced Apple Cider and Snowman Sugar Cookie at Pete’s Silly Sideshow Storybook Circus in Fantasyland and Hot Chocolate and Peppermint Bark Cookie at The Lunching Pad in Tomorrowland. New this year, Nick and Judy from “Zootopia will greet guests in Tomorrowland. 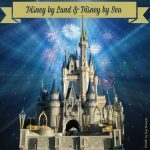 A quick tip about this event: your party ticket allows you entrance to Magic Kingdom Park at 4:00pm – THREE HOURS PRIOR TO THE POSTED START TIME OF 7:00pm. 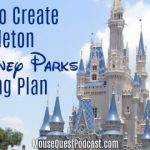 Taking advantage of this extra park time will allow you to experience almost as many of the attractions and entertainment offerings as you would on a regular park day since the crowd levels are so low. 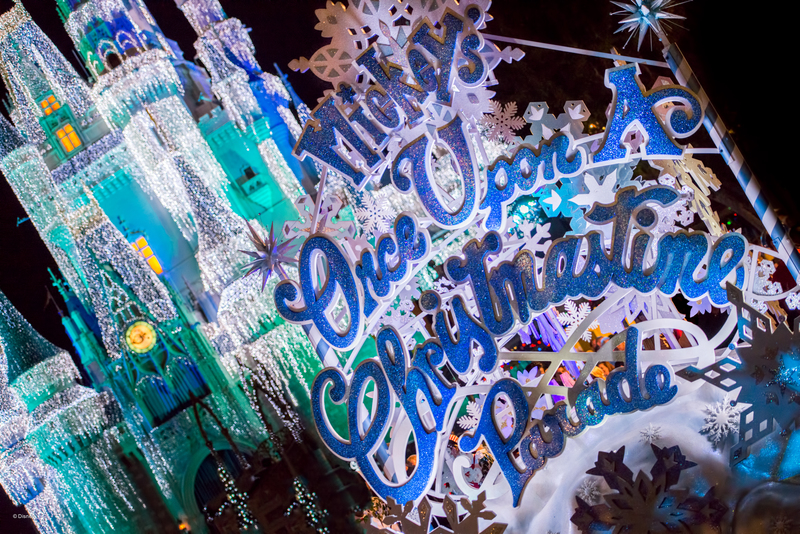 Mickey’s Once Upon a Christmastime Parade takes place during Mickey’s Very Merry Christmas Party and during regular park operating hours December 23 – 31. The parade steps off nightly at 8:30pm and 11:00pm. The parade features gingerbread men, elves, reindeer and the iconic toy soldiers. Your Disney favorites will be there as well including Mickey and his pals, Anna, Elsa, Kristoff and Olaf from “Frozen”. Santa Claus himself also makes an appearance to herald the season. 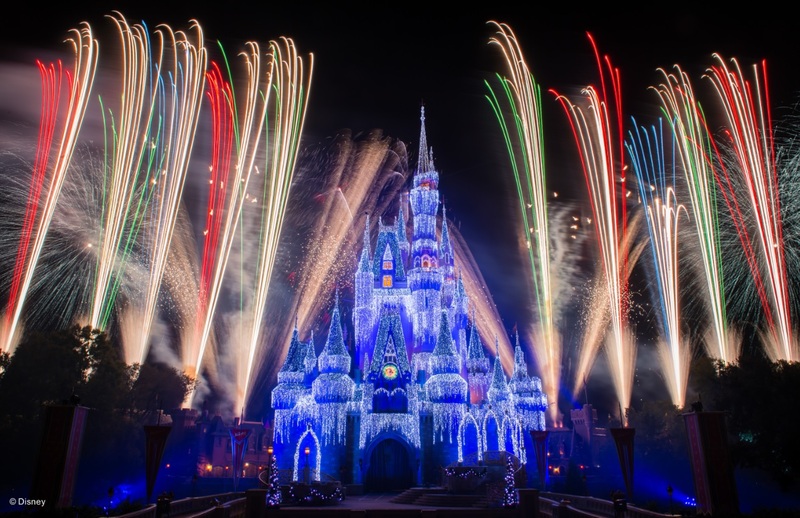 A Frozen Holiday Wish (Castle Dream Lights) features Queen Elsa transforming Cinderella Castle into a glimmering, shimmering ice palace for the holidays. The castle lighting takes place each night at 8:15pm. Holiday Wishes – Celebrate the Spirit of the Season takes place during Mickey’s Very Merry Christmas Party and during regular park operating hours December 23 – 31 at 10:00pm. The night sky bursts with color high above Cinderella Castle with a holiday fireworks spectacular. Disney’s Yuletide Fantasy is a 3-hour behind the scenes tour of Epcot and Magic Kingdom Park. For $99.00 you can see all it takes to get the theme parks and resort hotels dressed up for the holidays. Holidays Around the World lets park goers enjoy the sights and sounds of the nations of World Showcase, as each country’s holiday heritage comes to life amid joyful music and time-honored traditions. Holidays Around the World Marketplaces – Explore what the holidays taste like around the globe at five new marketplaces Nov. 25 – Dec. 30. : indulge in duck confit and dumplings from the Alpine Haus Marketplace, celebrate with the shredded beef tamale from the Three Kings Feast Marketplace (open until Jan. 6), toast with Williams Punch from the Germany Marketplace, and more. 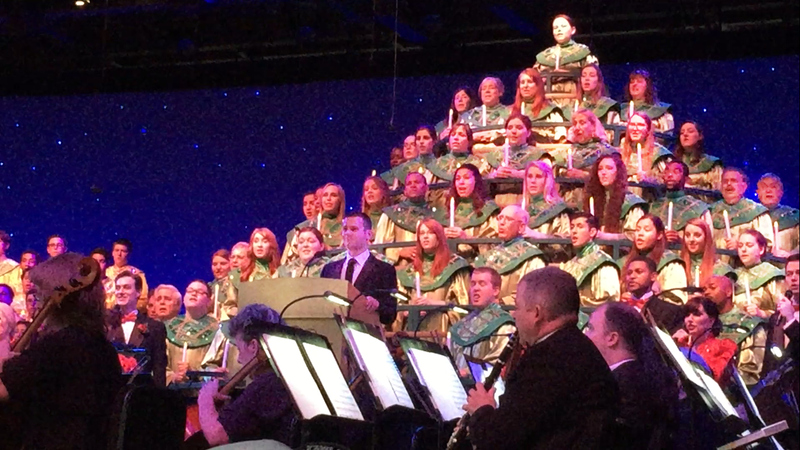 Candlelight Processional is a cherished Epcot tradition. Capturing the spirit of the season, it features the retelling of the Christmas story by celebrity narrators, accompanied by a 50-piece orchestra and choir. The Candlelight Processional is performed three times each evening, 5:00, 6:45 and 8 p.m. at America Gardens Theatre from Nov. 25-Dec. 30. Narrators in 2016 include Neil Patrick Harris, Whoopi Goldberg, Stephen Curtis Chapman, Meredith Vieira, and Cal. Ripken, Jr.
IllumiNations: Reflections of Earth adds a special seasonal finale Nov. 25-Dec.30. Holiday greetings in native languages from the countries of World Showcase join with the classic song “Let There be Peace on Earth” to add a heartwarming finish to IllumiNations. It is really a sight to behold. Jingle Bell, Jingle BAM! premieres at Disney’s Hollywood Studios Nov. 14-Dec. 31, sending beloved Disney animated characters on a spirited yuletide adventure to get Santa back to the North Pole in time for Christmas Eve. 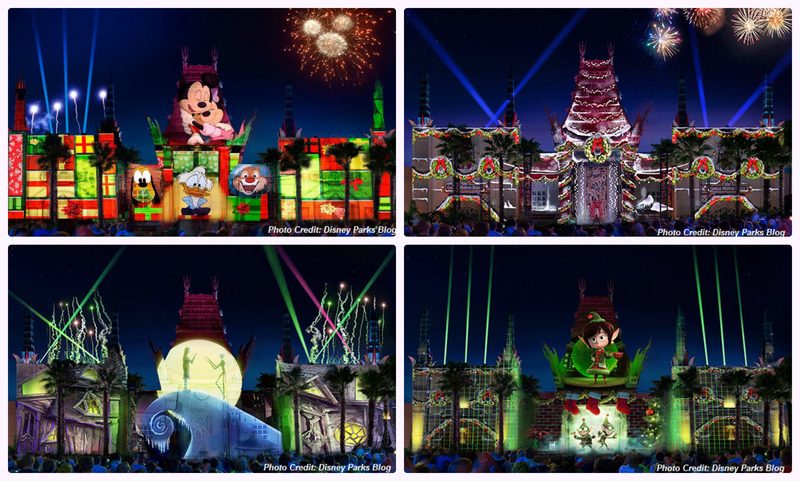 This new nighttime spectacular combines state-of-the-art projections, fireworks, special effects and Christmas music to create a dazzling, one-of-a-kind holiday experience for guests – capped by a special message from Santa himself. Guest can get themselves a great location for the Jingle Bell, Jingle BAM! Show by reserving a spot at the new dessert party themed to the show. This dessert party will be offered nightly, one hour prior to each performance, in the courtyard of the Chinese Theater. Guests who book the “Jingle Bell, Jingle BAM!” Holiday Party enjoy holiday-inspired snacks, decadent desserts and specialty beverages. 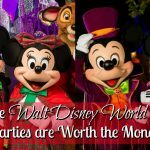 Guests can call 407/WDW-DINE or visit the party’s website to reserve their spot (Nov. 14-Dec. 17, $69 adults, $39 children, including taxes and gratuities; Dec. 18-31 $79 adults, $45 children, including taxes and gratuities). No holiday is complete without a chat with the head elf himself, Santa Claus. He will be greeting guests at the Once Upon a Time shop starting Nov. 14. The beautiful and vintage setting reflects the bygone days of Santa’s visits to the great department stores across the country. Disney Springs’ Christmas Tree Trail will feature 15 custom decorated holiday trees, each dedicated to a popular Disney theme such as Frozen, Mulan, Toy Story, Mickey & Minnie and many more. The Festival of Toys at the Once Upon a Toy Fountain (Marketplace), toys have magically come alive for an interactive holiday dance party nightly on the plaza. There’s pin trading, a nightly tree lighting ceremony and more. 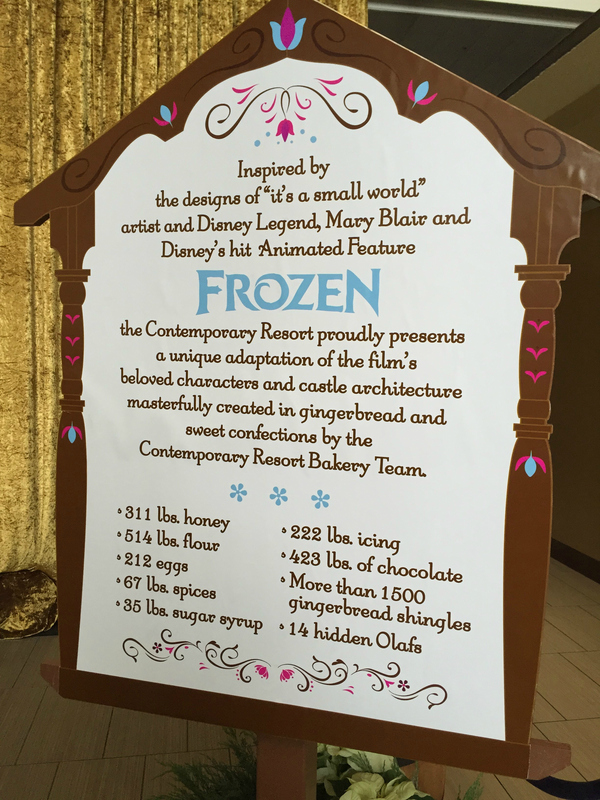 Disney’s Contemporary Resort (Grand Canyon Concourse) will feature a 17-foot-tall Gingerbread Holiday Ice Castle, inspired by Frozen and adorned with sugar snowflakes, gingerbread shingles and chocolate-coated trees. Disney’s Grand Floridian Resort & Spa features a life-sized holiday gingerbread house which doubles as a sweets shop. Disney’s Boardwalk Inn also have a larger-than-life gingerbread house which sells sweets. Disney’s Beach Club Resort has a life-sized, edible spinning carousel with themed horses. 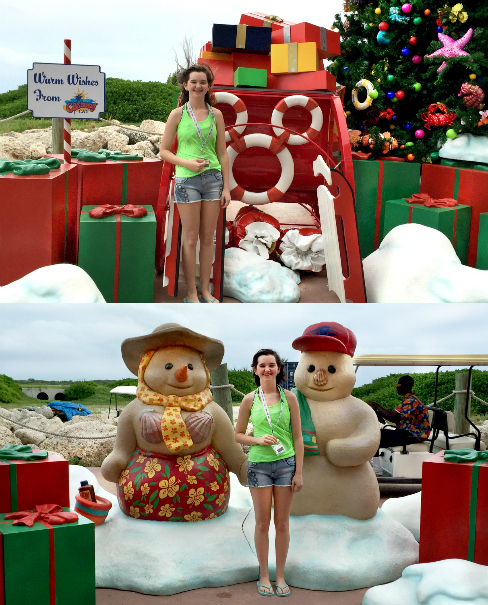 Disney’s Yacht Club Resort has a holiday village with miniature train. World of Color – Season of Light will overlay the original World of Color nighttime spectacular and take guests through a sparking winter fantasy, combining classic holiday songs with memorable moments from treasured Disney animated files. Festival of Holidays held in Disney California Adventure, will feature diverse cultural holiday celebrations from entertainment to 14 themed festival food and beverage marketplaces. Santa Claus and his sleigh full of mischievous elves will greet guest at Redwood Creek Challenge Trail in Disney California Adventure and in Critter Country in Disneyland park. No holiday is complete without a special dining experience. Holiday menus that celebrate the season area available at restaurants throughout Walt Disney World Resort and Disneyland Resort. For holiday dining information and reservations, call 407 WDW-DINE or (714) 781-DINE. Not to be outdone, Disney Cruise Line gets into the holiday action as well. Very Merrytime Cruises are underway on the Disney Magic and the Disney Dream. 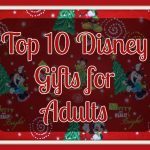 The Disney Wonder will join the festivities on the November 10 sailing and the Disney Fantasy will join in on November 19. Sue Nowicki is an alumnae of the 2014/15 Disney Parks Moms Panel. She splits her time between planning her next Walt Disney World vacation and being team mom to ten high-energy volleyball players where she fills the roles of secretary, navigator, head cheerleader, treasurer, athletic trainer and team psychologist.